Good circulatory health is of great importance to our overall well-being. Regular exercise and proper nutrition keep your circulatory system in top condition. Supplements can provide nutrients to keep the circulatory system going smoothly and ensure that you stay strong and healthy! We all face stresses and challenges on an ongoing basis that takes a toll on the brain. Juggling between long hours at work and taking care of the family can get mentally exhausting. 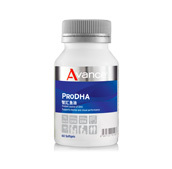 ProDHA provides a high concentration of 800mg DHA and 200mg EPA in each serving to provide nourishment for our brain. 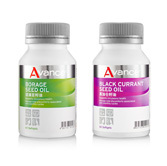 It uses fish oil in Triglyceride form, which is highly absorbable by the body and went through a 3-times molecular distillation purification process to remove impurities and heavy metals as well as maximising DHA concentration. EPA and DHA are essential Omega-3 fatty acids that our body cannot synthesise and need to be consumed from our diet. The best sources for EPA and DHA are deep-ocean fatty fish, unfortunately, we do not consume them daily. 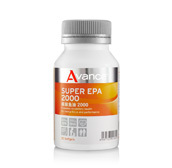 Super EPA 2000 combines high concentrations of EPA and DHA within a single softgel to fulfill your daily requirements. *As published in PDR for Nutritional Supplements, Medical Economics Company, Inc., Montvale, NJ, 2001, Pg 136-139, 141-143. Natto is a popular food consumed by the Japanese and has gained a reputation as a folk remedy to maintain a healthy circulation. 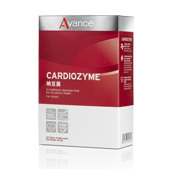 CardioZyme contains the special enzymes from Natto --- Nattokinase, that hold the secret to a strong circulatory system. Phosphatidylcholine is an important component of cell membranes and supports nerve cell functions. A nutrient recognised for its benefits in maintaining liver health and brain functions, phosphatidylcholine also regulates the cholesterol in the body, ensuring a healthy circulatory system. 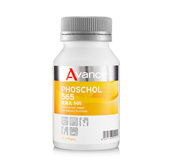 PhosChol 565 is the premium nutrient for optimal health maintenance. Borage Seed Oil and Black Currant Seed Oil are rich and natural sources of GLA (Gamma Linolenic Acid). These Omega-6 fatty acids cannot be synthesized by the body. While most people consume GLA from Evening Primrose Oil, Borage Seed Oil and Black Currant Seed Oil contain twice to three times the concentration of GLA, compared to Evening Primrose Oil. Usage of Red Yeast Rice has been documented in Chinese herbology & Traditional Chinese Medicine, ranging as far back as the ancient Tang Dynasty in China in 800 AD. It is mentioned in the traditional Chinese pharmacopoeia, Ben Cao Gang Mu to have a (warming nature), invigorating the blood and improving blood circulation. 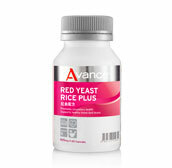 Each Red Yeast Rice Plus capsule contains 600mg of Red Yeast Rice, supporting healthy blood lipids levels and as a natural solution to circulatory health.